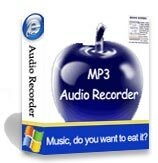 MP3 Audio Recorder - Record sound from microphone,line-in and streaming audio from the internet or music played by any media players. END-USER LICENSE AGREEMENT - REGISTERED VERSION PLEASE READ THIS LICENSE CAREFULLY BEFORE USING THIS SOFTWARE. BY USING THIS SOFTWARE IN ANY WAY YOU ACKNOWLEDGE THAT YOU HAVE READ, UNDERSTAND AND AGREE TO THE TERMS OF THIS AGREEMENT. IF YOU DO NOT AGREE TO THESE TERMS, DO NOT USE THIS SOFTWARE IN ANY WAY, AND PROMPTLY RETURN IT OR DELETE ANY COPIES OF THIS SOFTWARE IN YOUR POSSESSION. LICENSE GRANT GloryTimes ("GloryTimes") grants you a non-exclusive license to use this software, and any associated documentation ("The Software"), as indicated herein. If you have purchased a Single User License, this Software may be installed on a maximum of two computers, so long as it is ONLY running on one system at any time: i.e. one installation at home and one installation at the office and used only by the licensee. If you have purchased a Multiple User License (you specified several copies of the software when you purchased it), the Software may be installed and used, for internal purposes only, on the number of computers authorized at the time of purchase. You MAY: (a) redistribute rendered images and animations for commercial purpose; (b) make a copy of the software for archival purpose only; (c) install the Software on another computer only if you change of workstation. In such a case you must uninstall the software from the previous workstation. RESTRICTIONS You MAY NOT: (a) copy and distribute the Software or any portion of it; (b) sublicense, lease, rent, or transfer this Software to another; (c) cause or permit reverse engineering, disassembly, decompilation or alteration of this Software; (d) remove any product identification, copyright notices, or other notices or proprietary restrictions from this Software; (e) copy the documentation accompanying the software. TERM This License is effective until terminated. You may terminate it at any time by destroying the Software, together with all copies thereof. This License will also terminate if you fail to comply with any term or condition of this Agreement. Upon such termination, you agree to destroy the Software, together with all copies thereof. COPYRIGHT/OWNERSHIP This Software and its source code are proprietary products of GloryTimes and are protected by copyright and other intellectual property laws. The Software is licensed and not sold. You acquire only the right to use the Software and do not acquire any rights, express or implied, in the Software other than those specified in this License. DISCLAIMER OF WARRANTIES The Software is supplied "AS IS". GloryTimes disclaims all warranties, expressed or implied, including, without limitation, the warranties of merchantability and of fitness for any purpose. The user must assume the entire risk of using the Software. DISCLAIMER OF DAMAGES GloryTimes assumes no liability for damages, direct or consequential, which may result from the use of the Software, even if GloryTimes has been advised of the possibility of such damages. Any liability of the seller will be limited to refund the purchase price. Save Recording files in WAV / MP3 format. It makes MP3 files directly, no need temporary files and to waste much time converting it to another format. Audio Editor. You can cut/copy/paste recording file. Scheduler. You can start recording at a set time in any given day,the recording file you can name yourself or be generated automatically by system. Windows Vista, Windows 7, Windows 8 and Windows 10 Compatibility. Support Microsoft's new operation system Windows Vista, Windows 7, Windows 8 and Windows 10. Background recording mode. You can set hot key to hide or display software interface. The default is "CTRL+S". Write down audio information to recording file. You can write title, artist, album, composer, track, and year to recording file. Change skin. You can customize MP3 Audio Recorder with more than a dozen skins. The default is Mac-style. Hot key. You can use F5 (record) F6 (play) F7 (pause/continue) F8 (stop) to finish the work. This'll avoid the noises when you click the mouse. User-friendly interface. It's very easy to use MP3 Audio Recorder. If you can live with the rather restrictive trial limitation and without certain features, MP3 Audio Recorder makes a decent choice. Although this application's default Mac-style appearance is attractive in its own right, we appreciated the option to customize it with nearly a dozen skins. The streamlined interface is easy to use and lets you separately set recording levels for sources such as a CD player, a microphone, a line-in jack, PC speakers, or a phone line. You can save files in both MP3 and WAV formats and specify audio quality, though we wished the program supported the space-efficient VBR codec. .... We also should note that the trial version will only let you record a maximum of two minutes per clip. Nevertheless, MP3 Audio Recorder's user-friendly interface should help it appeal to beginners who want to turn their cassettes and LPs into digital-audio files.